We are taught to value intelligence and academic ability, but raw mental firepower does not always translate into success at work or a life of contentment. Just as important are the skills that make up 'emotional intelligence,' says Daniel Goleman, whose bestselling book popularised the concept. Here he chooses five books that explore its practical applications. 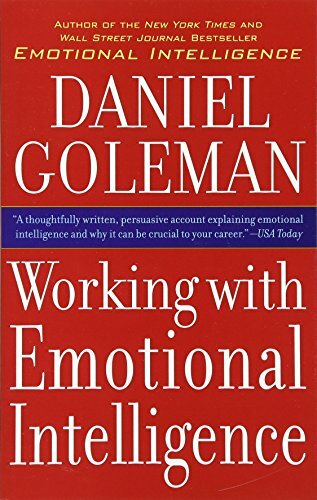 Daniel Goleman is a psychologist and former science journalist, who reported on the brain and behavioural sciences for The New York Times for many years. His 1995 international bestseller, Emotional Intelligence has sold more than five million copies in 40 languages. 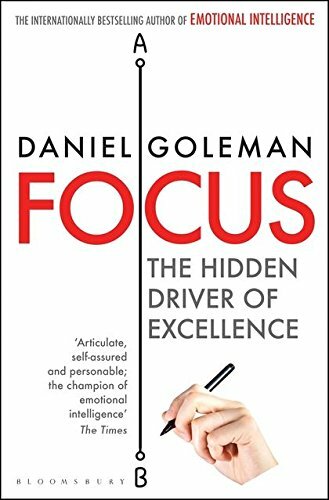 Goleman has also written books on self-deception, creativity, transparency, meditation and emotional learning; he has also published three books (including A Force for Good) with the Dalai Lama. Emotional intelligence, as I think of it, involves four main components. One is self-awareness: knowing what you’re feeling and why you feel it, how it’s affecting what you do, what you think. The second: self-management. Not only knowing what you’re feeling but handling your destructive emotions so that they’re less disturbing. Maybe marshalling positive emotions, positive outlook, so you can work toward goals. Third: empathy, knowing what other people are thinking. Or rather, what other people are feeling. They don’t tell us in words, they tell us in their tone of voice, gestures, and so on. And the fourth component is putting that all together so as to manage effective relationships – i.e. handling your relationships well. Those are the four core parts of emotional intelligence, but you could drill down more deeply. There are particular competencies based on each part. For example, on self-management, there’s handling disruptive emotions. There’s working towards your goal, staying motivated. Positive outlook, being flexible. Generally, I just talk about the four basic components. By the way, I didn’t come up with the concept of emotional intelligence. Peter Salovey, who’s now the president of Yale University, and a then-graduate student, Jack Mayer, first proposed it in 1990 in a very obscure journal. At the time, I was a science journalist at The New York Times. My job was to read these obscure journals and see if there was anything of general interest, and I thought: ’emotional intelligence, what a fabulous oxymoron.’ But it really does mean being intelligent about emotions. In that paper, they define emotional intelligence as ‘a set of skills hypothesised to contribute to the accurate appraisal and expression of emotion in oneself and in others, the effective regulation of emotion in self and others, and the use of feelings to motivate, plan, and achieve in one’s life.’ An extremely important skillset. But is it a measurable quantity? Emotional intelligence can’t be measured in the way that IQ can be. It’s not a body of knowledge that is necessarily conceptual. Being empathic is not about thinking, ‘oh, she must be feeling X now,’ but knowing in your heart immediately what she’s feeling because you’re feeling it too. Or how another person is thinking or being concerned about what’s going on with the other person. Those are all manifestations of empathy. But our best measure is an assessment tool called the Emotional and Social Competency Inventory, or the ESCI. The strength of it is that it not only asks you to evaluate yourself, but to ask other people who know you well to rate you on the same dimensions. The discrepancy between the two of course tells you whether you’ve got a big blind spot, whether the way you see yourself is the same way that others see you. As Robert Burns said: ‘Oh would some power the gift give us, to see ourselves as others see us.’ [Original: ‘O wad some Power the giftie gie us/To see oursels as ithers see us’]. I think that’s the best measure. Can emotional intelligence be developed or are we born with a particular capacity for emotional intelligence? Well, I think the good news is that emotional intelligence is basically learned and learnable. I think that there may be individual differences from birth in neurotransmitter start points; maybe one person is more reactive emotionally than another. But all of that is shaped by environments, by our families, by our school, by our friends. There’s a lyric from Jackson Browne that I love: “Just do the steps that you’ve been shown / By everyone you’ve ever known.” I think that we’re constantly shaping our sense of ourselves and how to relate to other people in all of our relationships. The sum total of all that adds up to how well we know ourselves, handle ourselves. We know other people and are effective in our relationships. 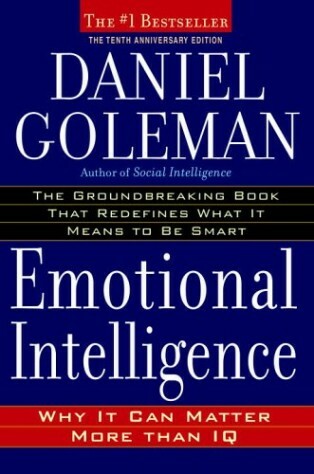 In other words, emotional intelligence is something that grows throughout life. 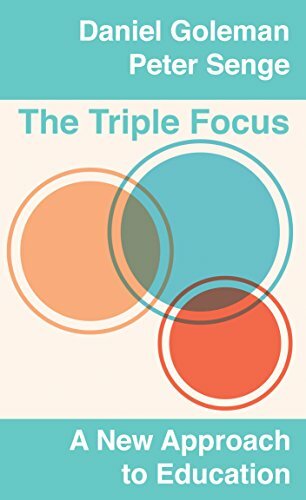 This question of working on improving mental attributes ties into the first book that you’ve selected to disucuss, Triple Focus: A New Approach to Education. 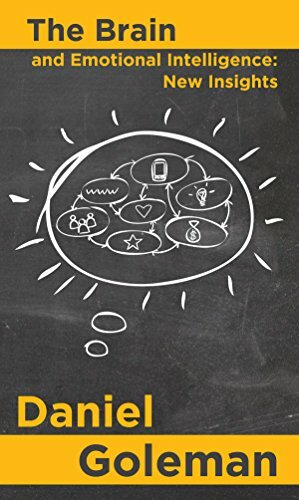 This is a book you co-wrote with Peter Senge, a systems scientist at the MIT Sloan School of Management. 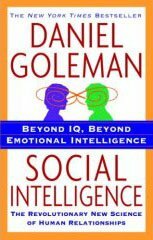 In the book, you argue that IQ plays a certain role in getting people into jobs, but once people have got into those jobs, other aspects of intelligence – such as emotional intelligence – come to the fore. Can you tell us more? Let me start with a new study just published in the last few months – this is really, by the way, heresy in the academic world, but nevertheless – the data shows that after an IQ of 120 there’s no relationship with leader effectiveness. Above 128 there’s actually a negative relationship, perhaps because instead of motivating people they are framing things in too abstract a way, a way that other people find difficult to understand. The paradox is that it’s important that we study – that will help us get a job – but once we’re in a job, what seems to matter most, and I’ve based this on internal studies done by organisations of their star performers, what matters more than your academic background or your IQ – your cognitive abilities – are your emotional intelligence abilities. Are you self-disciplined? Can you get along with other people? Those two things are far more important as you go through your career. As you become elite, as you go up the hierarchy, the higher you are, the less the cognitive abilities matter because you can hire people that have those abilities. It’s said that the art of leadership is getting things done through other people. So, basically, Peter Senge and I make the argument that we should be teaching children, as well as academics, how to handle their emotions, how to empathise: social skills. In other words, skills and abilities that will matter to them throughout their career. In a way, it’s grooming people to be leaders in the future. We also propose in Triple Focus that in addition to these core emotional intelligence skills, there are three other abilities that young people would benefit from developing over the course of their lives. One is skills of attention, better focus, to enable them to keep their mind on their math, and not on their phone all the time. Another is caring about people – concern, compassion. And the third is systems understanding, because it’s a complex world. If you’re going to do well in it, it would be better if you understood the particular system you’re operating. In business, of course, it involves economy, technology, culture, a very complex web of interacting systems. It could be, too, that environmental changes are going to affect everyone in the following decades. Your second choice also focuses upon the importance of building student skills beyond exam results and academic intelligence. 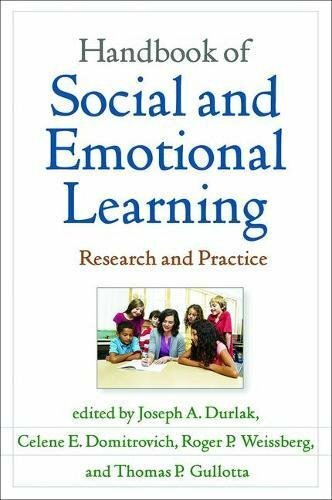 This is the Handbook of Social and Emotional Learning (2015), edited by Joseph Durlak and others. The book I did with Peter Senge builds on the research of others. The Handbook offers all the new research for those who are seriously interested in helping students develop and acquire these skills. I think it’s important this be empirically based. And changes we bring to something like children’s education must have sound research to back it up. That’s what the Handbook does. It pulls together all of that research, and it gives educators and educationists a better sense of what is really the most well-proven way to apply this science to education – because it’s still very new. Do you think that these skills and abilities are valued by the education system as it stands? I actually find the educational sector to be a little retrograde, particularly schools of education, the graduate schools that train teachers. There too is the problem of getting the curriculum changed, which is often tangled in bureaucracy. But the data presented in the Handbook shows that students not only learn better, but they also score better on academic achievement tests when they have social and emotional learning. They behave better. They pay more attention. Teachers generally are happy because they spend less time simply getting their students to sit still and pay attention. 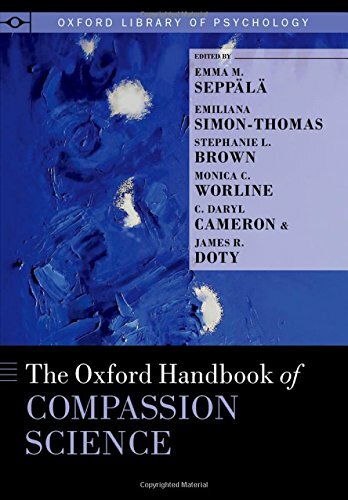 The Oxford Handbook of Compassion Science (2017) looks at the neurobiological, developmental, evolutionary and social basis of compassion. But what is compassion? Is it just another word for emotional intelligence, and vice-versa? Well, as I mentioned, one of the categories of emotional intelligence is empathy: social awareness, understanding the other person’s feeling. But there are three kinds of empathy. One kind of empathy is where you sense how the other person thinks. So this can help you be a very effective communicator because you can put your message in terms that person understands. The second form of empathy is emotional empathy, where you feel along with the person. You pick up their feelings, and actually experience them yourself. This also helps tune into the other person quite effectively. The third kind is now getting into the realm of compassion. It’s called empathic concern. Each of these is based on a different set of circuits in the brain, and empathic concern activates the parental care-taking circuitry. Every mammal has this. It’s a parent’s love for their child. And it means you truly care about the person. It’s not just that you understand them but you feel as them. I think this is absolutely crucial going forward in the world today. As Burt Bacharach said: “Love, sweet love / It’s the only thing / that there’s just too little of.” I feel that everything from politics and policy on down to our personal lives benefits from the attitude of caring for other people around us. It might be that the Oxford Handbook, just as the Handbook of Social and Emotional Learning, brings together the best research in the area. Because it can sound very squishy and soft – ‘oh, compassion, there’s no hard metric for it’ – well, actually, there is, and the Handbook offers up the best summary of what we know about compassion. Let’s move on. 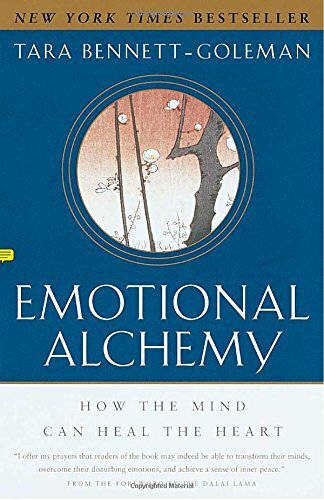 Emotional Alchemy (2001) is a bestselling synthesis of neuroscience and Buddhist psychology by Tara Bennett-Goleman, your wife. Tara was the first person to bring together mindfulness – now a very popular technique for cultivating attention – with cognitive therapy, a very popular therapy. Mindfulness means people track their thoughts and their feelings and their actions in real time. Not just in therapy sessions but in their lives. Cognitive therapy helps you talk back to misguided beliefs and ideas which often are at the core of the ways we act that we regret. It helps you change them on the spot, so mindfulness helps you get by when this is happening; the cognitive therapy helps you to change it in a better direction. The book Emotional Alchemy helps the reader learn how to bring mindfulness to those moments but also offers a kind of diagnostic menu for the common equivalent of emotional dysfunction, things like emotional deprivation (‘nobody really cares about me’) or social exclusion (‘I don’t fit into this group’). There are around ten that are very common, and she describes what they are, how to know if you’re feeling them, and what to do about it. It’s a very practical book, unlike my own, which tend to be more science-driven. Your latest book is on the science of meditation. How closely linked do you think meditation and mindfulness (and other practices which promote looking inwards) are with emotional intelligence? Are they part of the same process? Yes. The foundational ability of emotional intelligence is awareness, and mindfulness actually amplifies a person’s ability to be self-aware. So I see them as one and the same really, in that if you become more mindful, you’ll be more self-aware. I just published a book with my old friend, the neuroscientist Richard Davidson, who’s at the University of Wisconsin. In the UK and Commonwealth, it’s called the Science of Meditation: How to Change Your Brain, Mind and Body. In the US, it’s called Altered Traits: Science Reveals How Meditation Changes Your Mind, Brain, and Body. Davidson and I were graduate students together at Harvard, a long time ago, and we were isolated and joined at the hip. Joined at the hip because we were interested in meditation; isolated because none of our faculty and friends were. And at the time, there were only three articles in the scientific literature on meditation. Fast-forward to now and there are more than 6,000. But Davidson, who has a crew of about 100 people at his brain lab at the University of Wisconsin, was able to sift through those 6,000 and ended up with 60 that were bulletproof. They used the methodology; they’re A-level journals. And the book Altered Traits puts them together in a way that tells a story for beginners and sets out what the benefits are. Things like better attention, being less triggered emotionally, how to recover faster when under stress. The longer you do it, the stronger the benefits become. That’s essentially the message of the book. Has the writing about emotional intelligence been a process through which you have developed your own self-awareness? Some people say you write about what you need to learn! So, I would say that thinking about emotional intelligence, looking into it deeply, has helped me become more aware of my failings and my strengths and helped me work on them. My wife is also helping me in that. So, I don’t separate the two actually, but yes, it’s a work in progress. You must be a very emotionally aware couple. My wife is the emotionally aware one. Finally, let’s turn to a work of memoir. 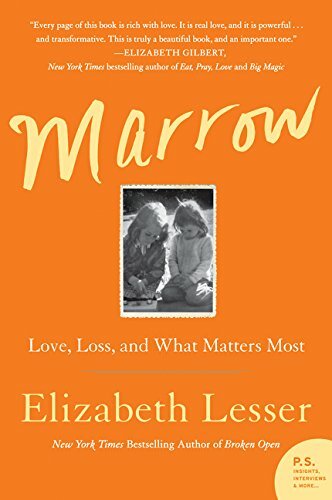 In Marrow (2016) by Elizabeth Lesser, a woman learns she is the perfect bone marrow match for her sister, who is in need of a transplant as she battles cancer. There are many thousands of moving real-life stories on the market to read; what makes you want to discuss this one? Well, the book is less about the sister’s bone cancer, and of Elizabeth’s being the perfect match, than a story of emotion and of clearing the air. Sisters can be very close, but often there is a lot of tension too. And I found it a very compelling read and also quite honest, rather frank. Unfortunately, Lesser’s sister died. But the fact that she donated her marrow brought them very close. Closer than they had ever been before. 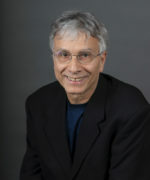 Lesser was a co-founder of the Omega Institute for Holistic Studies in New York State, which runs workshops in psychology, arts and spirituality. She sounds well placed to write from a self-aware or mindful standpoint. I thought the book was really emotionally intelligent and shared not only how they felt as they went through the process, but how they dealt with how they felt. And for that reason I see this is as a gripping example of how to practise emotional intelligence. Finally: what can I do today or tomorrow – what can I start with – to improve my emotional intelligence? Well, you can start almost anywhere. You could start with the characterisation of someone who knows you well, someone whose opinions you trust and value. What do they say about you in those four domains of awareness, self-mastery, empathy, social skills? Where are your strengths? Where could you get better? Once you get a sense of where you could get better, then mindfulness is a powerful first step, seeing how you habitually act, think, and feel in a particular way, and then seeing how you can change for the better.